It’s downright magical in Chicago. A chill has moved into the air as the city’s holiday lights begin to twinkle. And while our minds are focused squarely on the holiday season, we still gotta eat. Here at XOCO we are (literally) ready to deliver you our latest seasonal menu, one that features a wonderful array of soul-satisfying Mexican comfort food. 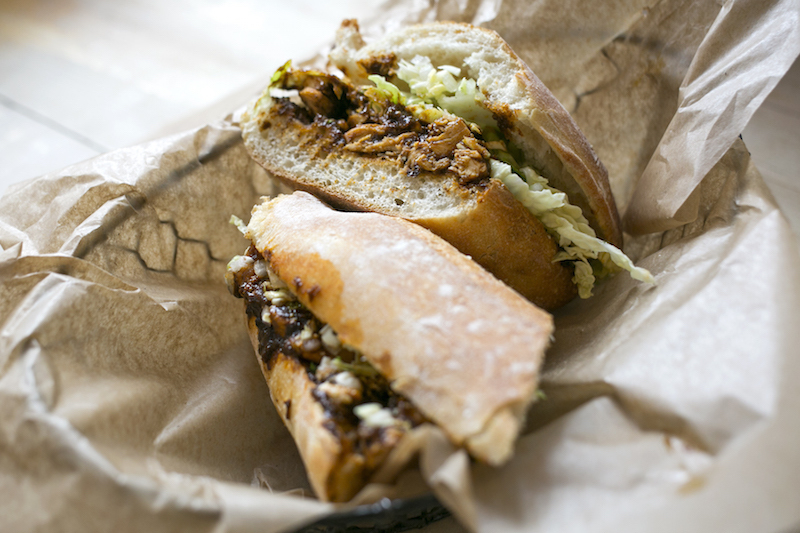 Chef Julio is busy in the kitchen making his mother’s Morelia-style mole — a symphony of chiles, nuts, seeds and herbs — to add to his torta, made with roasted Gunthorp Farms chicken tenders, tangy cabbage and homemade fresh cheese. It is amazing! The Christmas Eve-inspired Noche Buena Salad, meanwhile, is a colorful salad worthy of a the holiday table. 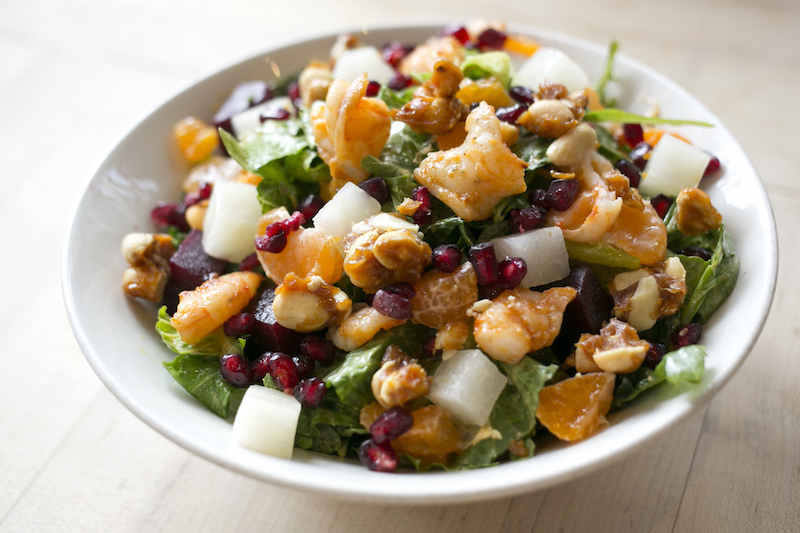 It’s made with wood-oven roasted shrimp, beets, jícama, tangerines, romaine and pomegranate and dressed with peanut oil-morita chile dressing. 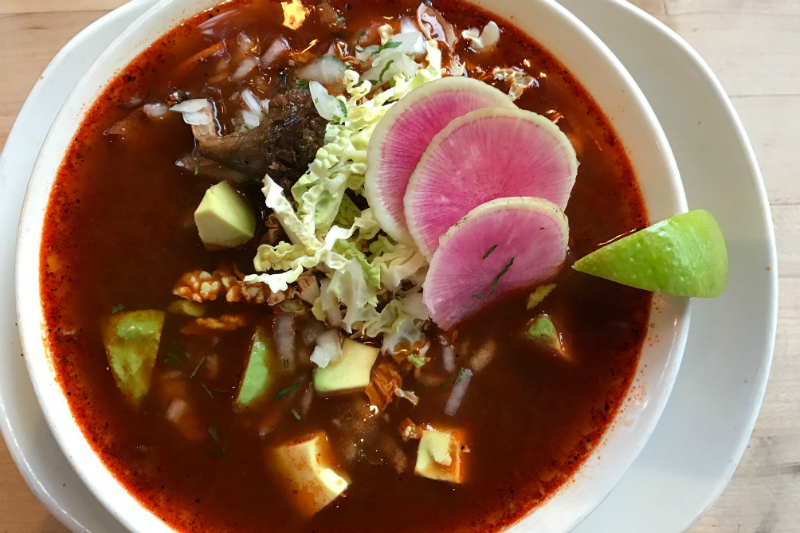 Pozole, another staple of Chef Julio’s Mexican childhood, gets a vegetarian treatment with wood oven-roasted sunchokes, hearty oyster mushrooms and pozole corn in a red chile broth. Garnished with shredded Savoy cabbage, avocado, radishes and oregano, it’s the type of nourishing soup that improves your lot in life and makes you want to be a better person. 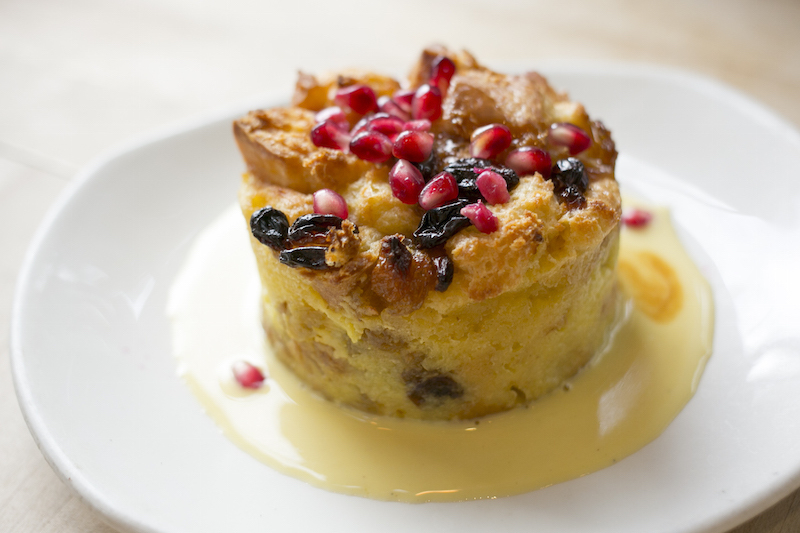 We’ve made way for some new desserts too, including a showstopping Rum-Raisin Bread Pudding with warm, custardy rompope sauce and pomegranate — outrageous! — and a super festive Mexico City-style Buñuelo de Viento, a crispy rosette served with Mexican chocolate soft serve, mint-chocolate sauce, whipped cream and sprinkles. As always, we have our regular menu — and authentic Mexican bean-to-cup hot chocolate — to keep you and the niños warm and cozy. 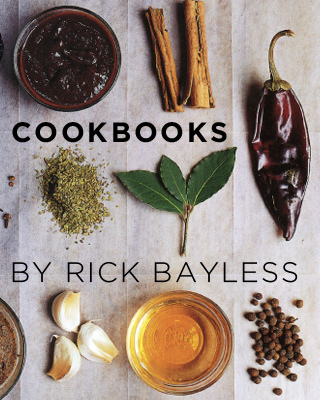 what is the origin of the name: MARY’S Duck Taquitos?